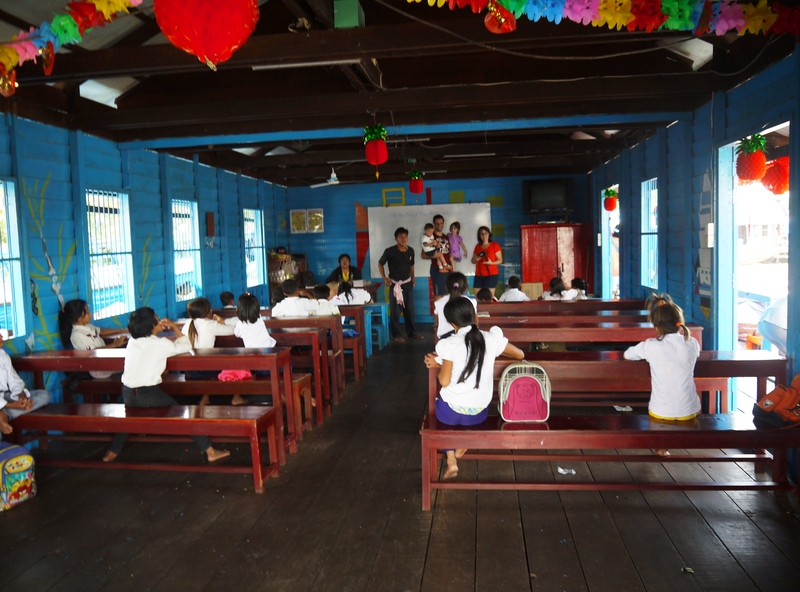 The classroom of the floating school. Nice uniforms and backpacks, but there didn’t appear to be much learning going on. Plus we were there over Tet, which kids in the rest of Indochina get off for school I believe. Published April 19, 2014 at 3938 × 2914 in Cambodia.